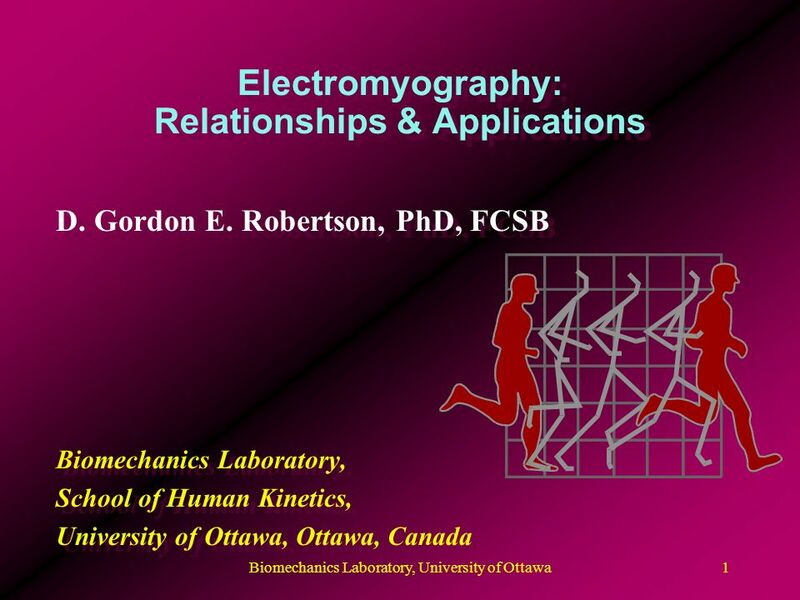 Download ppt "Electromyography: Relationships & Applications D. Gordon E. Robertson, PhD, FCSB Biomechanics Laboratory, School of Human Kinetics, University of Ottawa,"
KINETIC ANALYSIS OF GAIT INITIATION D. Gordon E. Robertson, PhD, FCSB 1 Richard Smith, PhD 2 Nick ODwyer, PhD 2 1 Biomechanics Laboratory, School of Human. 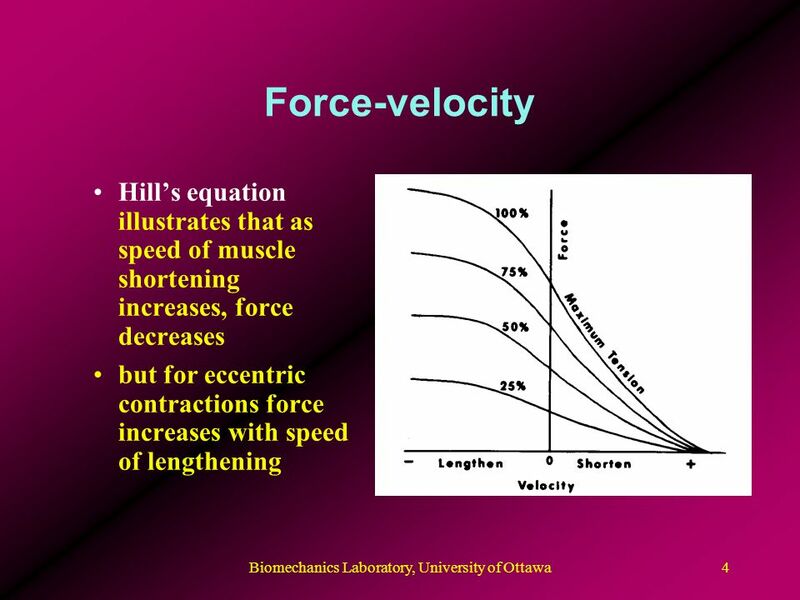 An analysis of human movement: Joints, Muscles and Mechanics in specified sporting actions (including planes and axes) What you need to know: Analyse shoulder. 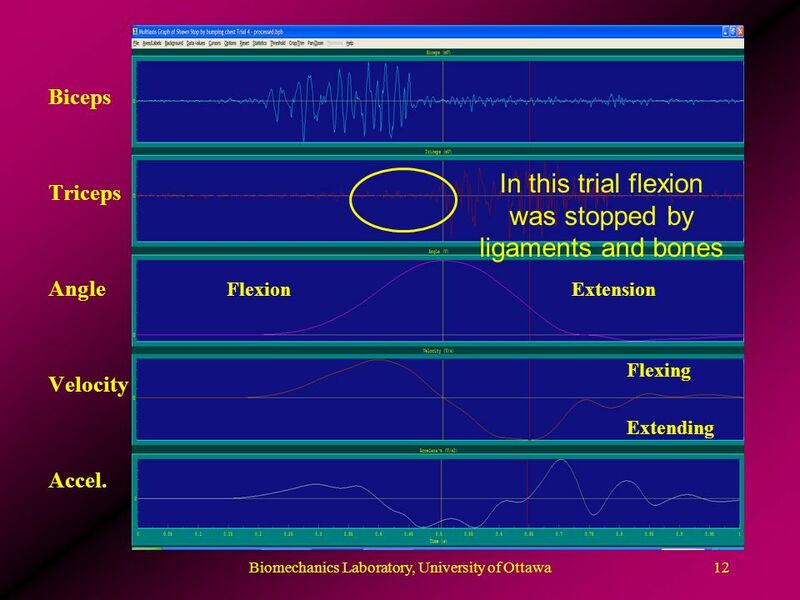 Biomechanics of Locomotion D. Gordon E. Robertson, PhD, FCSB Biomechanics, Laboratory, School of Human Kinetics, University of Ottawa, Ottawa, Canada D.
EMG Lab Data Collection Toru Tanaka, Miguel Narvaez, Adam Bruenger, and members of the Spring Semester KIN 831 Course. 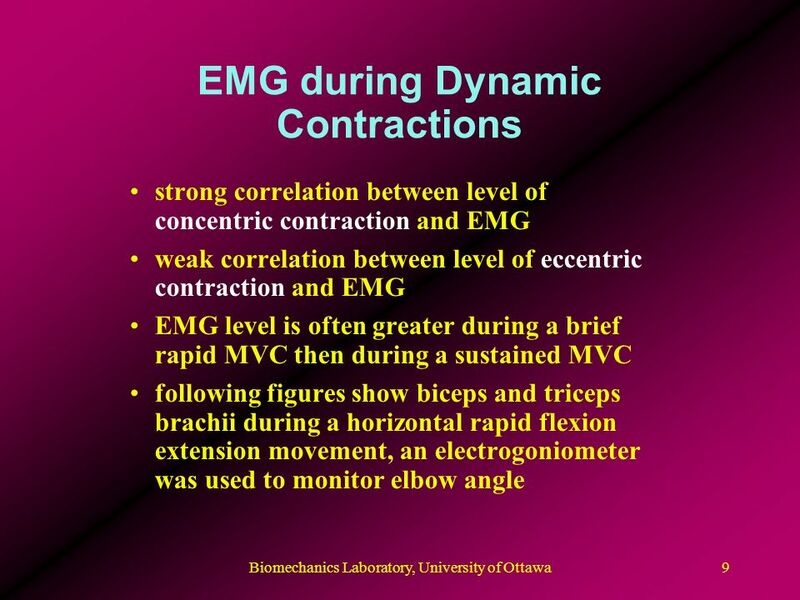 EMG & Motor Neurons Chapter 18 KINE 3301 Biomechanics of Human Movement. 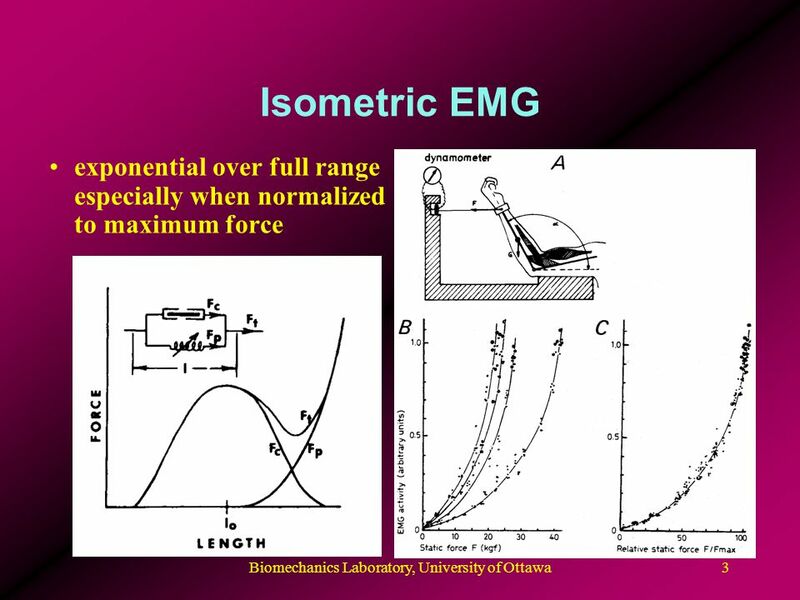 Moments of Force D. Gordon E. Robertson, PhD, FCSB Biomechanics Laboratory, School of Human Kinetics, University of Ottawa, Ottawa, Canada D. Gordon E.
Types of Muscle Contractions A REALLY bad Cramp Pushing the Wall Bicep Curl Landing from a high place How Muscles Generate Force. 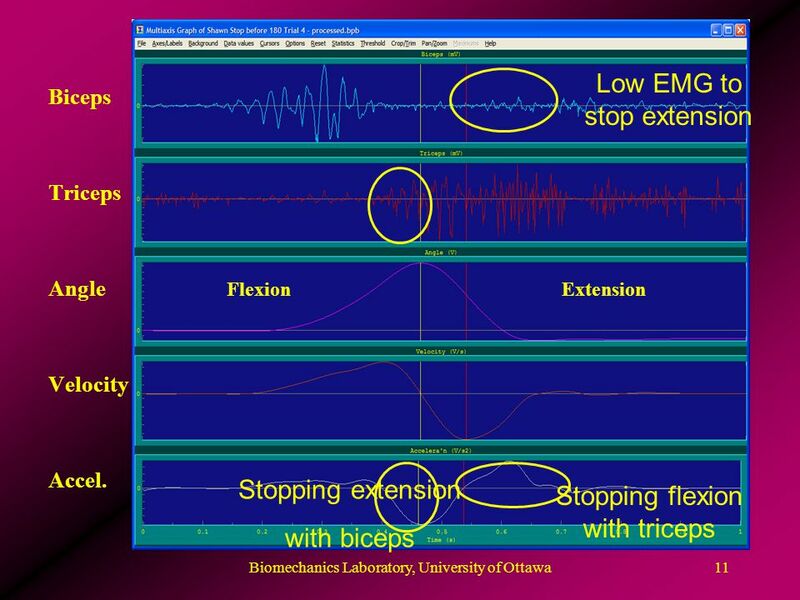 Electromyography: Physiology D. Gordon E. Robertson, Ph.D. Biomechanics Laboratory, School of Human Kinetics, University of Ottawa, Ottawa, CANADA. Chap. 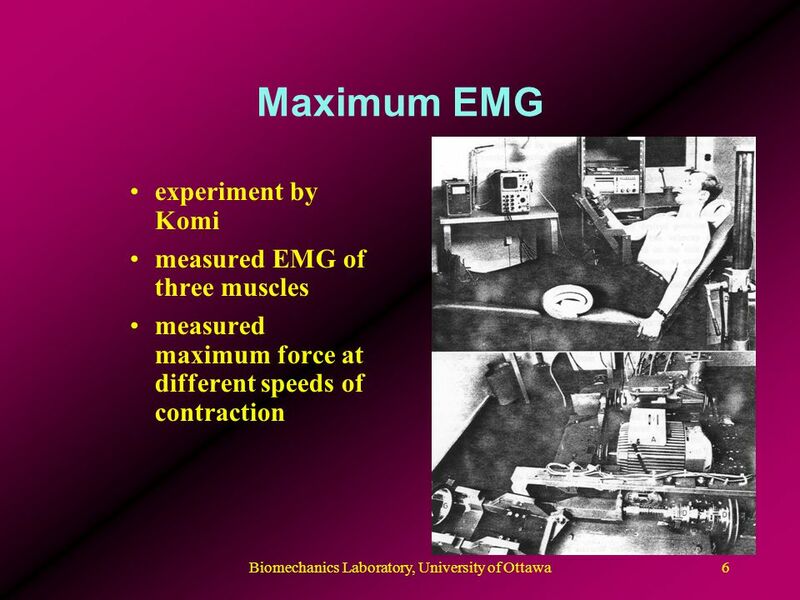 5 Muscular Fitness Chap. 6 Flexibility. 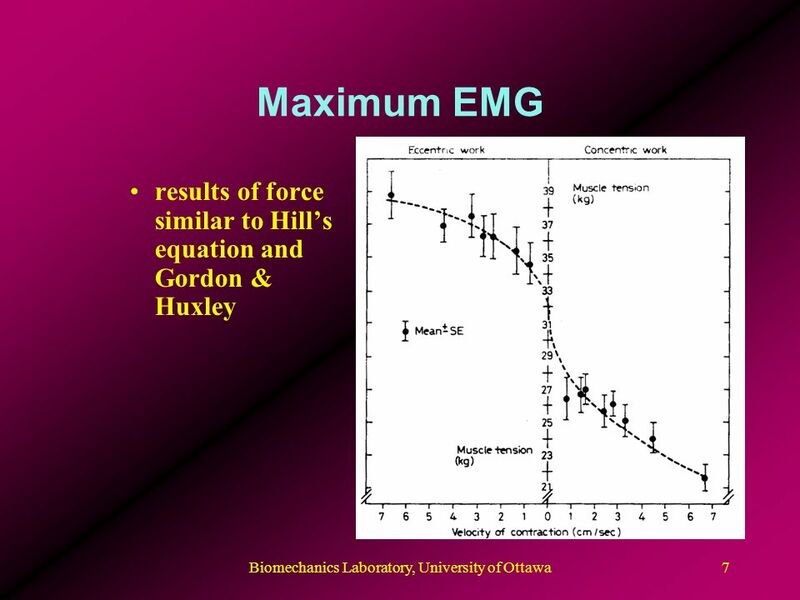 Health Benefits Increased bone density Increased HDL-C Increased muscle mass which increases BMR Decreased. Alex Smith. 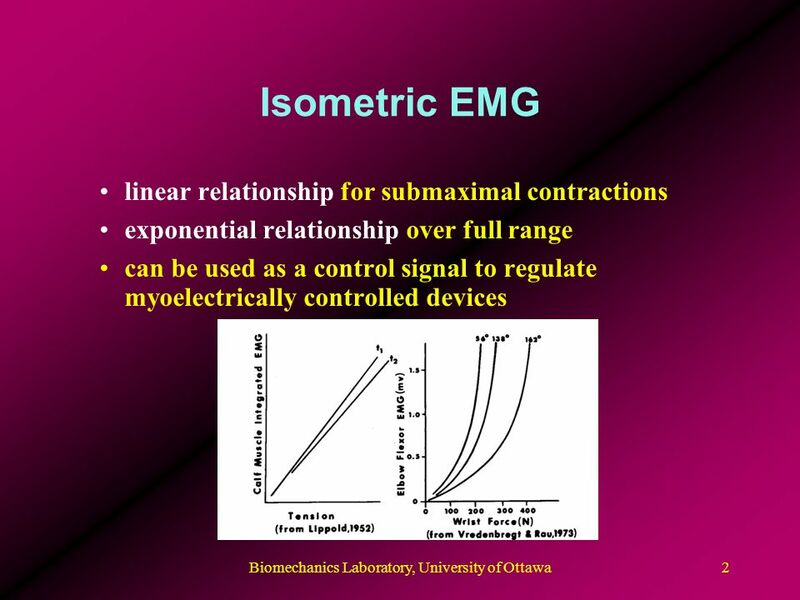 IIsotonic muscle contractions, are those where the muscle changes length as it contracts. 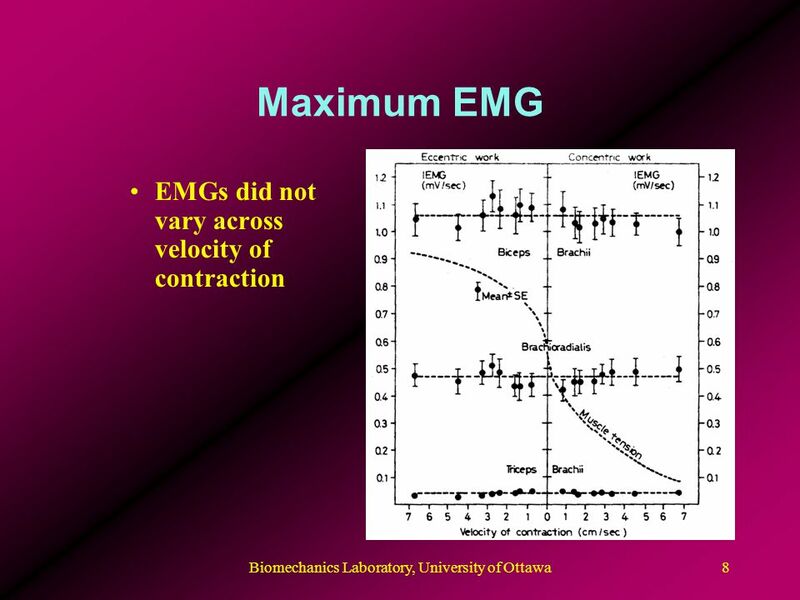 This type of contraction is responsible for the. 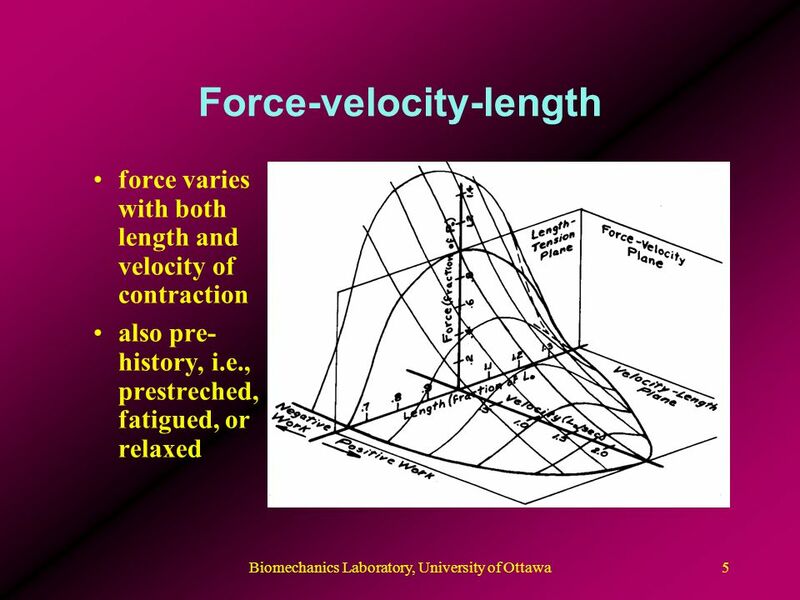 Adaptations to Resistance Training. 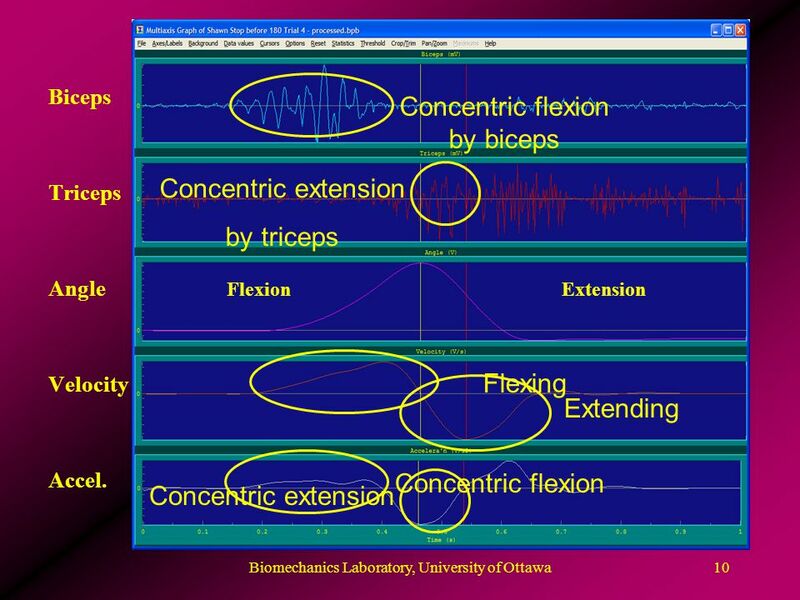 Key Points Eccentric muscle action adds to the total work of a resistance exercise repetition.